The launch of Patrick Ta Beauty was a star-studded affair featuring celebrities galore, Moet and Chandon champagne, and stunning event design by Aliana Events, Celio's Design and Revely Event Designers. The rose gold and blush palette took a cue from Patrick Ta Beauty's branding, with the #thisismajor hashtag used throughout the design. Floating bunches of rose-gold balloons dotted the entire event space, as did plush champagne-colored lounges, rose-gold cocktail tables and bars, and stunning selfie stations. 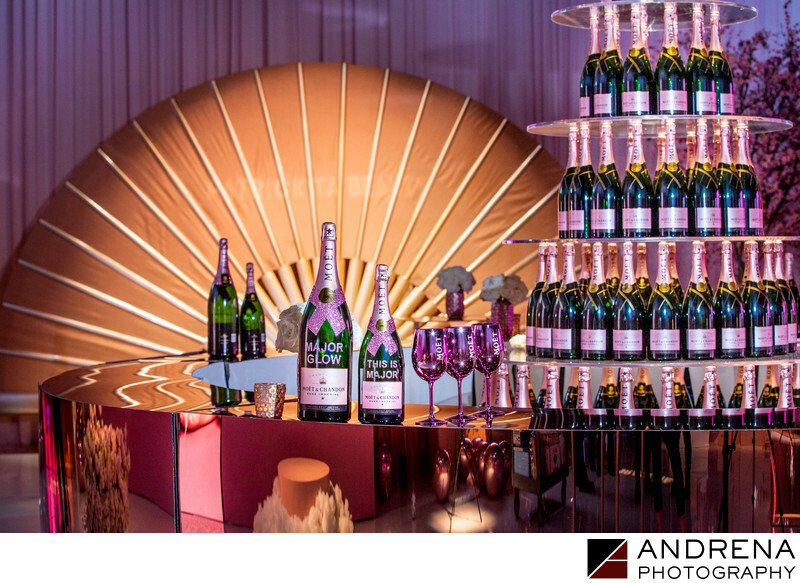 As event photographers in Los Angeles, we understand that photographing the event sponsor's products is just as important as photographing the event itself. Keywords: Aliana Events (12), Andrena Photography (3), Event Photographer (6), Makeup (3), Moet and Chandon (3), Patrick Ta (3).